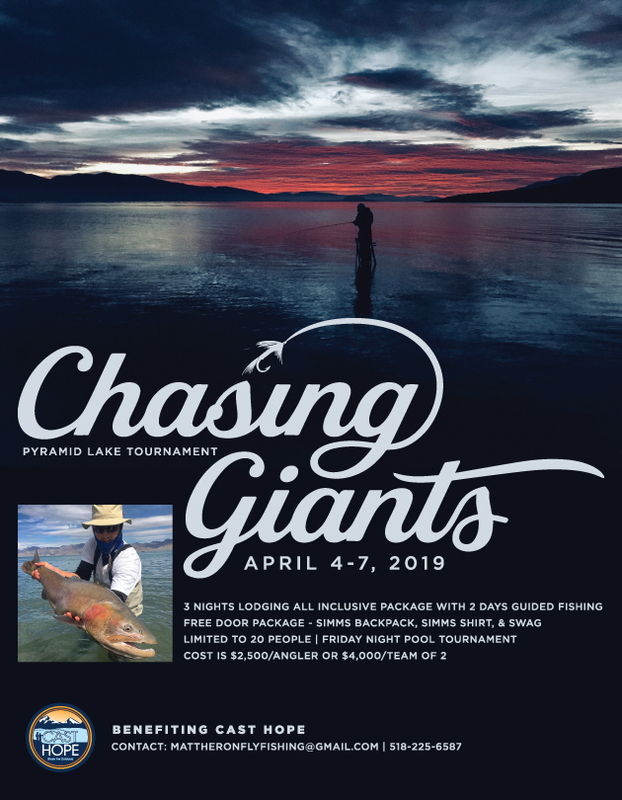 Join Cast Hope for their annual Pyramid Lake Tournament this spring! 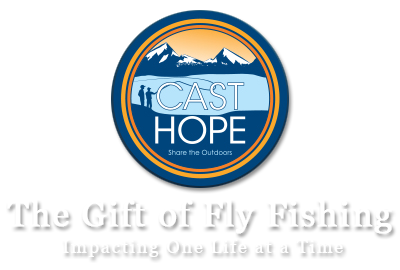 For the third year in a row supporters of Cast Hope will gather at the iconic lake in search of a prehistoric 20+ pound Lahontan cutthroat! This is by far the biggest fundraiser for the Reno/Tahoe region with 100% of the proceeds directly benefitting under served youth in the area. Included: Three nights lodging, two full days guided fishing, catered gourmet meals with drinks included. Door package includes a Simms backpack, Simms shirt, and SWAG. Also try your shot at our annual pool tournament with even more prizes to the winners! Contact Mattheronflyfishing@gmail.com or 518-225-6587 for more details.